While you may never have control of a star at your fingertips, you can come close with the Hearth Products Controls 31" Fire Pit Insert with 24" Penta Burner with Hi/Lo Flame Adjustment - 120 Volt. 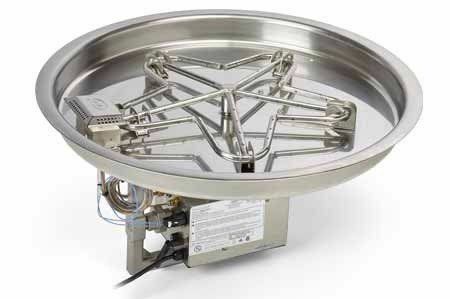 Coming with a remote control, this star-shaped burner in a 31" stainless steel bowl will dazzle friends and family with a stunning 200,000 maximum BTU output. It comes available for both natural gas and propane so simply choose your fuel and this fully-assembled and ready for installation little star will be on its way!